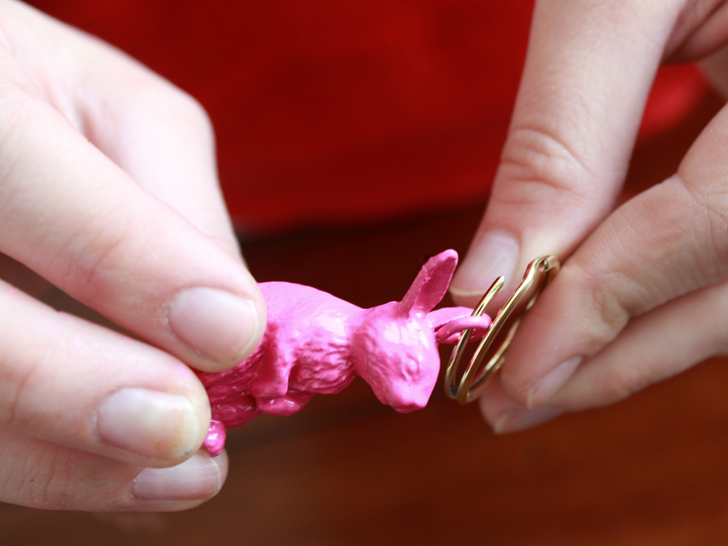 <p /> Don't throw out your old animal figurines just yet. 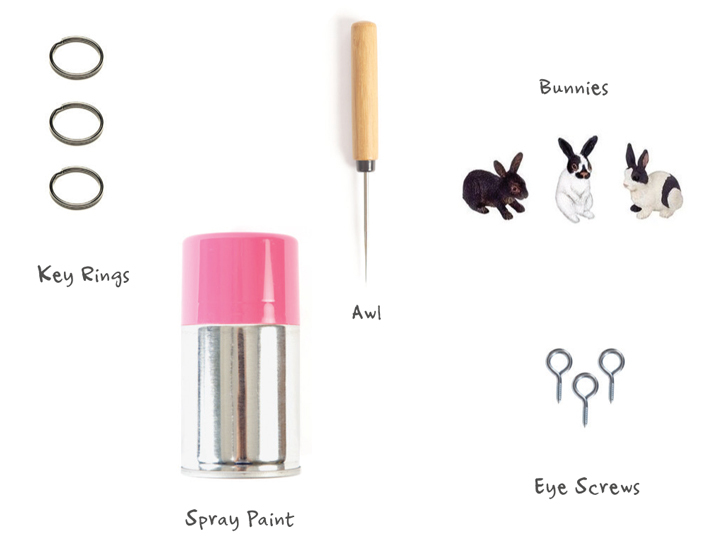 A few basic supplies are all you need to transform a childhood mainstay into a playful key fob. (Bonus: You'll be able to spot your keys even from across the room.) Too busy—or lazy—to scrounge around for components? 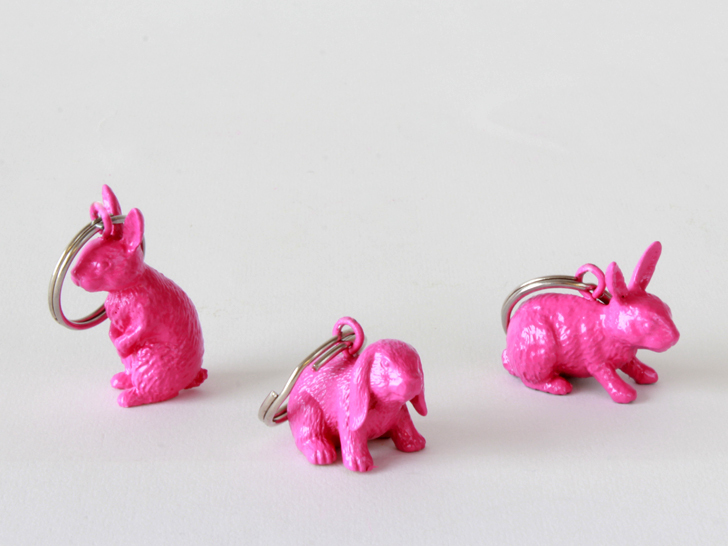 The do-it-yourself experts at <a href="http://www.ecouterre.com/darby-smart-takes-the-guesswork-out-of-diy-fashion-projects/">Darby Smart</a> have assembled <a href="http://www.darbysmart.com/projects/animal-keychain">a ready-to-purchase kit</a> so you can hop to the good stuff. 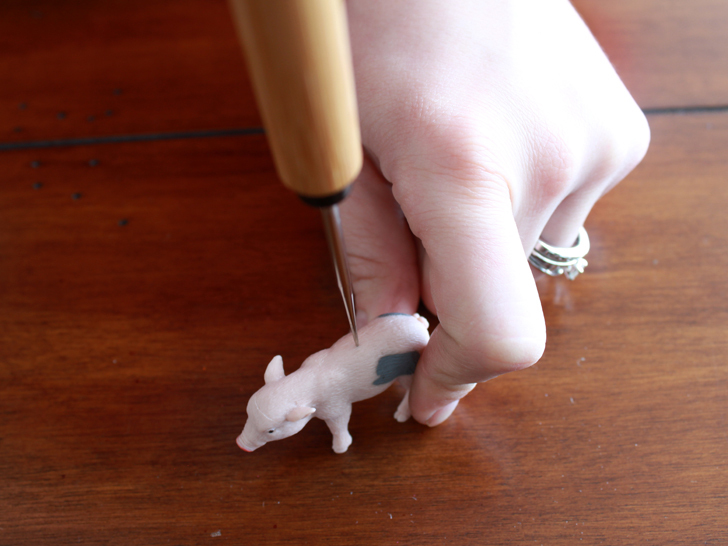 <h3>STEP ONE</h3> Start by placing your animal on a solid surface and holding in place while you poke a hole where you'll want to attach your key ring. Don't go all the way through your animal, but make sure you have enough of a hole to get your screw started. <h3>STEP TWO</h3> Place your eye screw into the hole and twist it until it's firmly in place. 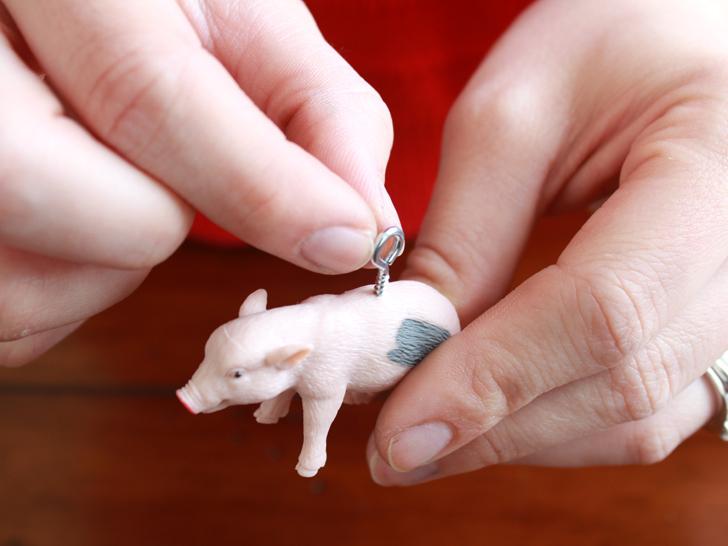 This will allow you to securely attach your key ring to your animal. 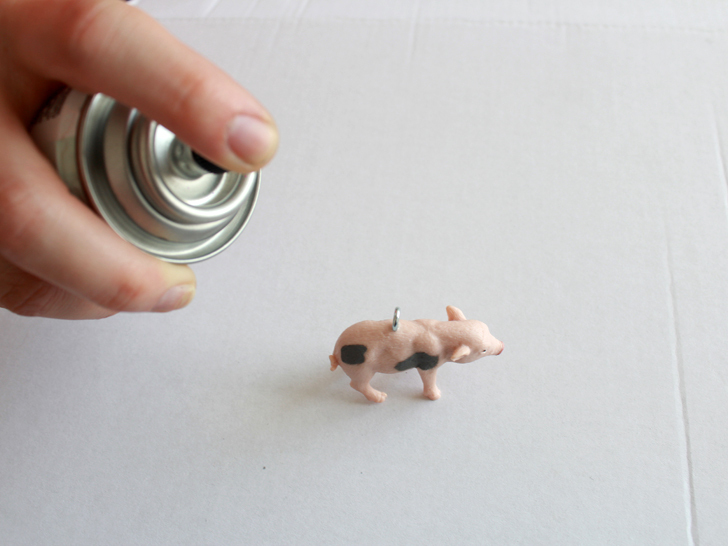 <h3>STEP THREE</h3> Line your surface with paper and spray your animal with a light application of paint. If more coverage is desired, wait 15 minutes and apply a second application. <h3>STEP FOUR</h3> Allow paint to dry thoroughly, about 20 to 30 minutes, before looping on your keys. 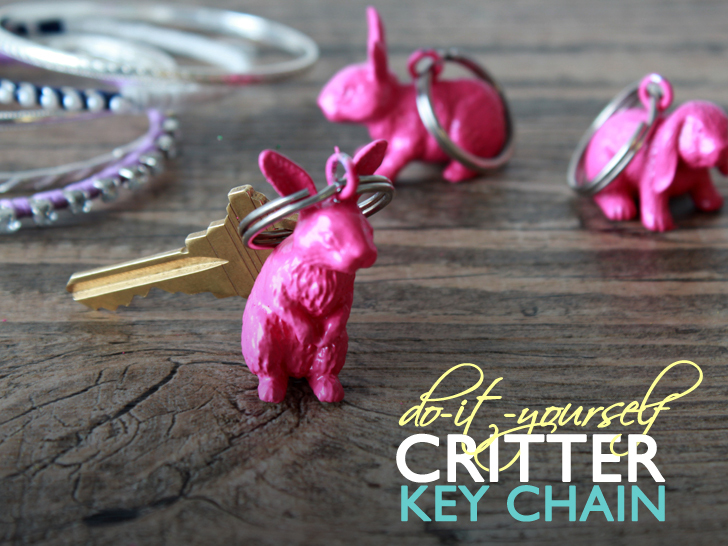 <h3>STEP FIVE</h3> Admire your critter key chain.